The Amazon Echo (or Echo Dot) is the latest must-have gadget. I’m sure you’ve seen the adverts, so you know, through it, you can order anything you want from Amazon using a voice command. On the face of it that sounds fantastic (if not a little bit lazy), but there is a HUGE downside – someone else can easily take advantage of it. After its launch, it wasn’t long before people cottoned on to this slight flaw, with several listeners of the NPR-produced Listen Up radio show reporting that the host’s segment discussing the Echo had triggered their Echo devices. Here are our tips to make sure your Echo only does as you tell it. OK, no home has an entirely quiet zone, but you can move your device away from televisions and radios. By ‘move away’ we mean completely out of ‘ear’ shot. That way, if the word ‘Alexa’ is mentioned your device won’t start listening. One of the great things about the Echo is its voice buying function – just tell it what you want, and it will buy it for you. However, to make sure it’s only buying what you want and not something it’s overheard, it’s a good idea to set up a confirmation code. Then, whenever you try to make a voice purchase, Alexa will ask for the four-digit code. Another layer or protection is to choose your wake word. So, rather than ‘Alexa”, you could opt for ‘Amazon’, or ‘Echo’. If you’re a Trekkie fan, you could use the recently added ‘Computer’. 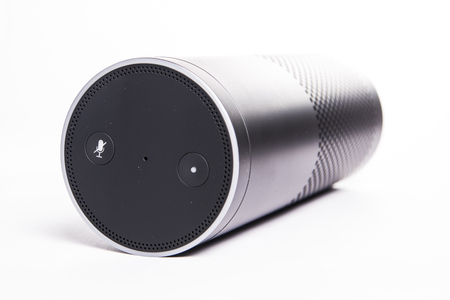 Hopefully, these tips will help you keep your Amazon Echo safe from erroneous orders.